Our team goes out of their way to ensure you get the very best service possible and we are always happy to answer any questions you may have about our service. If you need any information that is not included in our FAQ, please get in touch. Do I need to be at the property whilst it is being cleared? It is entirely up to you. You are more than welcome to be present if you wish, or you may simply hand us the keys and we will take care of everything for you. We usually recommend that you vacate the property while we work, but before we finish we will give you a ring so that you can have a chance to check our work. We will also send you photos of the cleared property and send these to you via email. Can you clear my house for free? Yes we can clear houses free of charge and have offered this service to customers across the region. If you have furniture or other valuables that we can sell we would be delighted to talk to you to come to an arrangement that will be beneficial for both parties. Do you recycle the items you clear? Absolutely! We have a genuine 90% recycle rate which we can achieve due to our large storage area where we take all items to be sorted for sale, donations to local charities and delivery to specialist recycling companies. We are the only local company that recycles every part of your mattress while our competitors continue to contribute to the ever increasing 150,000 tonnes that go to landfill each year. The majority of our customers are homeowners. We can help whether you are looking after a deceased estate, clearing a rented property or simply want to declutter your home. We also offer our services to estate agents and solicitors. We can carry out full and partial house clearances and can handle any property, from a small flat to country mansion. We mean it when we say we can clear just about any item. Take a look at our ‘What Do We Clear‘ page for more information. Yes we do! We accept all major credit and debit cards. We also accept cash, cheques and BACS payments. Can you send before and after photos of the house clearance? We would be delighted to fully document your house clearance for you and give you total peace of mind that we have carried out everything to your complete satisfaction. We can even send you a video of the works we carry out if this is something you would find useful. Do I need to pay you for a quotation? No. 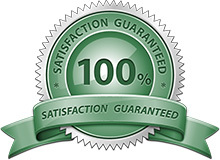 We offer our quotations completely FREE of charge for you to consider at your leisure. If you would like to go ahead with our services, simply call our number and we will be delighted to help. 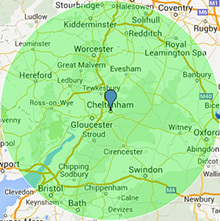 We operate our clearance services in Gloucestershire 7 days a week and we start at 8am and work right through until 6pm. However, these times are flexible and we can also work outside of these hours if you need us. How soon can you carry out my house clearance? Because we are local and because we offer quick and flexible service, we can often carry out your house clearance within 48 hours of your call. Alternatively, just tell us a more convenient time and we will be there ready to get started the moment we arrive. We can take on house clearances in Cheltenham and Gloucestershire at very short notice and will work quickly to have your house cleared as soon as possible. We operate 7 days a week across the region. How long will my clearance take? All clearances are different and the time we take to clear your property will depend on the nature of your items, the amount you have to clear and also access to your property. For example, it may take us slightly longer to move your items if you live in a high rise flat or if we cannot park directly outside your property. We can give you a much better idea of timings once we have seen your property and what you need to have cleared. What size vans do you have available? Our range of vehicles offers something to suit any size domestic or commercial clearance. Each of our vans is clean, unmarked and equipped to carry large or fragile items safely. We recycle as much as possible so it is essential that our vans are of the highest standard inside and out. Our vans and drivers are also fully insured and we are a registered waste disposal company. Yes, we are. We are a fully registered and licensed carrier of waste and we also carry full Public Liability Insurance. Each of our vans is fully insured and we ensure that we carry the relevant health and safety certification. Do you offer cleaning services once clearance is complete? Cleaning services are no problem and we would be delighted to arrange this service once we have cleared all items away.